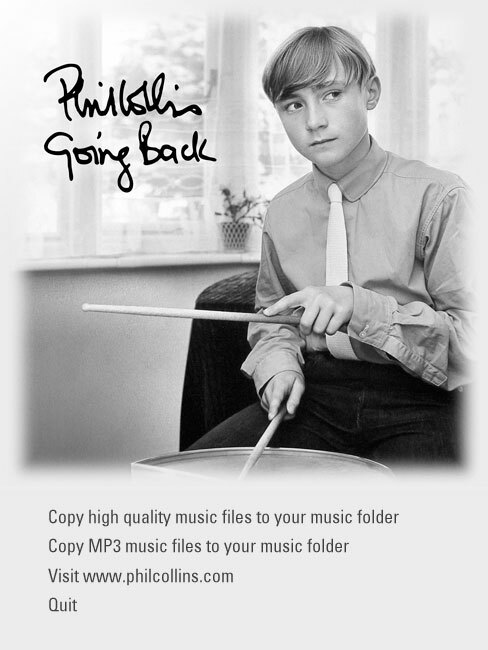 Phil Collins ‘Going Back’ is a simple cross platform program on the Phil Collins ‘Going Back’ DVD. 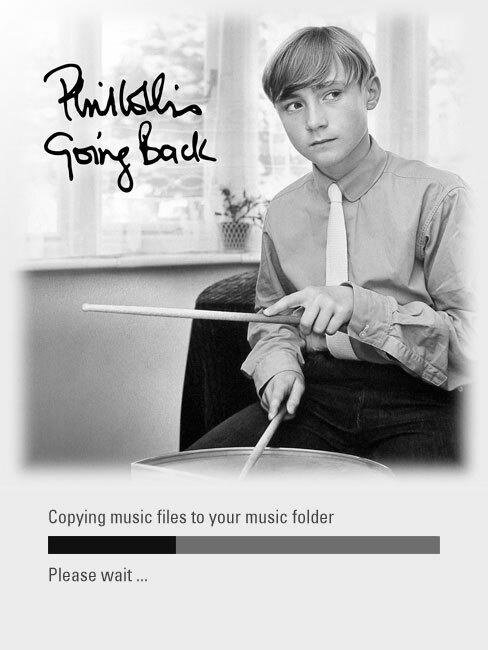 The program loads and displays a menu allowing the user to copy the album’s music files files from the DVD-ROM to the user’s computer. The user can select between high quality WAV files or MP3. There is also a link that opens a web browser to Phil Collins’ website.